Shares of Anil Ambani-led Reliance Group companies rallied on Monday after it reached an agreement with lenders to not sell any shares pledged by promoters till September. The pact comes just days after some lenders had dumped pledged shares after a sharp fall in share prices led to a plunge in the value of their collateral. Under the new pact, the Reliance Group will pay principal and interest to the lenders, according to the scheduled due dates specified in the loan agreements, an official spokesperson of the group said. The group also told lenders it has appointed investment bankers to sell its 30 per cent shareholding in Reliance Power (RPower). Shares of RPower gained the most at 11.3 per cent, followed by Reliance Infrastructure (RInfra), which rallied 10.9 per cent. In intra-day trade, the two stocks had gained as much as 20 per cent. Reliance Capital settled 2.9 per cent higher after advancing as much as 12 per cent on the news. “We are grateful to our lenders for believing in the intrinsic and fundamental value of our companies, and granting their in-principle approval to standstill arrangements,” the group spokesperson said in a statement. The pact entered with the Reliance Group comes weeks after a similar agreement between Essel Group and lenders. Essel Group, a diversified conglomerate with interest ranging from media to packaging, faced a similar struggle in February. Essel signed a pact with lenders to stop credit of its group companies from being classified as in default until September 30. The pact provided the group time to sell stakes in some of its companies, including raising a planned $1.2 billion from sale of part of Zee Entertainment Enterprises, the country’s biggest publicly-traded television network. 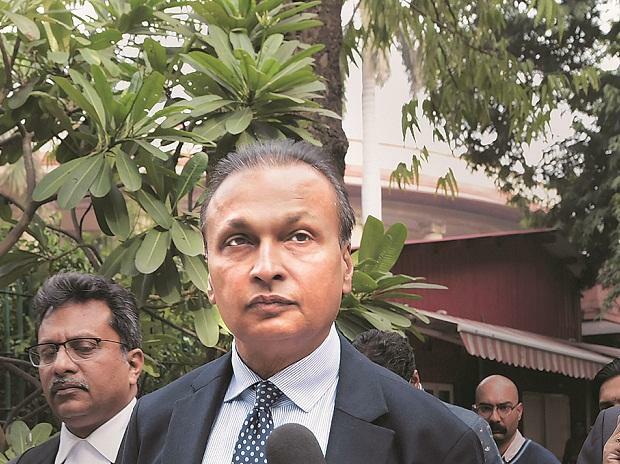 Reliance Communications (RCom) announced plans earlier this month to file for bankruptcy, adding to a litany of woes for the Ambani-controlled business group. Shares were sold off as concerns spread to other group firms, eroding the value of the stock pledged as collateral. After the company’s shares fell early this month, two of the lenders — Edelweiss and L&T Finance — had invoked the pledges and sold the shares in the open market. This led to a domino effect, with some the listed group companies losing half of their value. 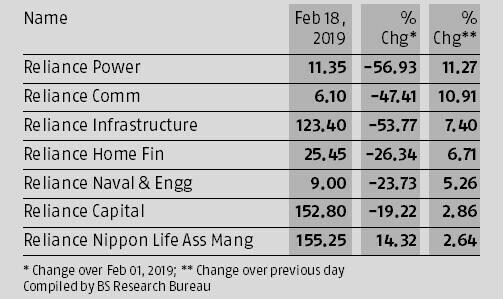 Even after the latest rebound, shares of RPower, RInfra, and RCom are down around 50 per cent each on a month-to-date basis.